The renewed EU Bioeconomy Panel held its kick-off meeting on 17 June 2016 in Brussels. Johan Elvnert, Managing Director of FTP, is the sole representative of the forest-based sector on the panel. Neither EUSTAFOR’s proposed candidate Dr. Lena Bruce from Sveaskog (Chair of EUSTAFOR’s internal Working Group on Bioeconomy) nor any other candidate proposed by forest stakeholders was selected by the European Commission for this panel. Mr. Elvnert should therefore be considered as a focal point on matters related to the EU Bioeconomy Panel, as EUSTAFOR is one of FTP’s shareholders. The European Commission opted to limit the Panel to 30 members and renew its stakeholders’ representation. Ten seats have been offered to experts from national authorities of the EU Member States and EU Regions, while the remaining 20 seats are reserved for relevant stakeholder groups from different areas related to the bioeconomy. These include the industrial sector, associations and companies, the scientific community, European associations in the farming, forestry and fishery sectors, and non-governmental organizations. The list of panelists is available here. As far as its main role and activities are concerned, the Panel will be responsible for monitoring the progress of the ‘Bioeconomy Strategy’ and will be in charge of finalizing the ‘European Bioeconomy Stakeholders Manifesto,’ by early 2017. Building blocks to develop the manifesto were drafted in the scope of a multi-stakeholder process carried out by the Dutch EU Presidency. ‘Building with Wood’ as a potential flagship action to boost the European bioeconomy was suggested by Johan Elvnert (FTP) in the discussions with the other members of the Panel. 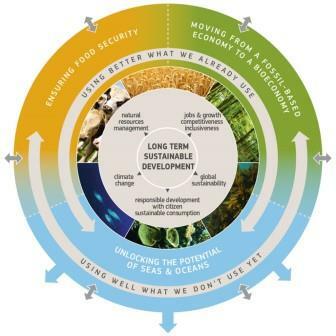 You can read more about the EU Bioeconomy Stakeholders Panel under this link.